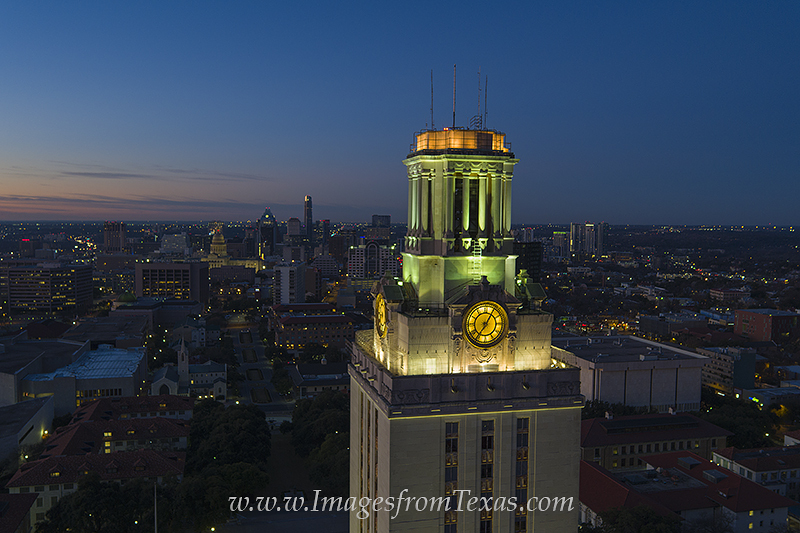 The UT Tower rises into the cool January morning. In the distance is the downtown Austin skyline featuring the Texas State Capitol, the Frost Tower, and the Austonian. Photo © copyright by Rob Greebon.